Hi, friends! 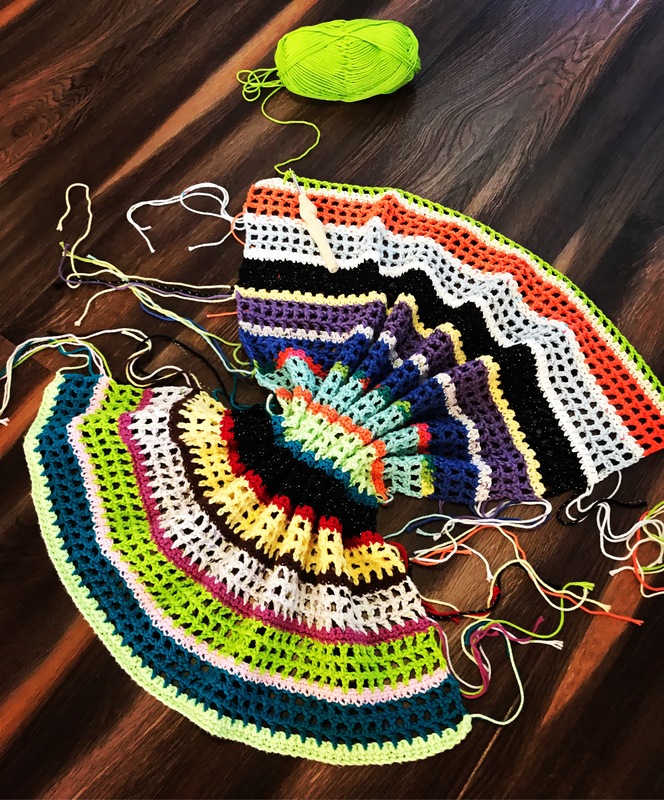 I recently began crocheting the Juliet Blanket, & I am loving the lightweight feel for Spring, Summer & Fall. 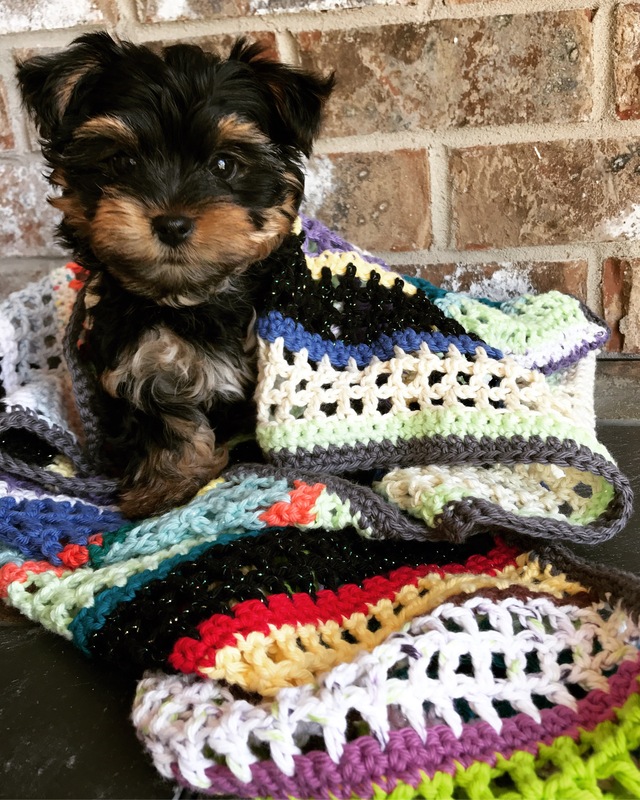 The size works great for a child or as an adult lap blanket. It is also my “go-to” travel blanket! Chain one to begin each new row of SC. Chain four to begin each new row of CH 1, Skip 1, DC. We complete two rows of SC and then three rows of CH 1, Skip 1, DC. 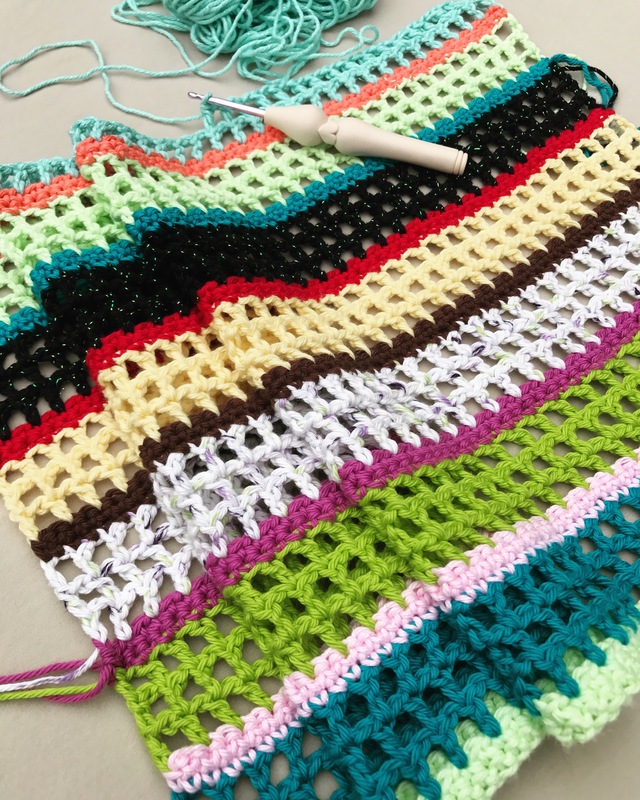 Repeat this pattern until you reach the desired length for your blanket. If desired, do a color change as you change the rows from SC to CH 1, Skip 1, DC. Slip knot around your hook to begin. Row 1: SC in 2nd ch from the hook & in each CS for a total of 98 stitches. Rows 2-5: (Change to 2nd color if desired.) Chain 4 to begin a new row. Skip chain space & 1st stitch & DC into the 2nd stitch from the chain. *CH 1, Skip 1, DC* for the remainder of the row. Repeat for rows 3-5, chaining 4 to begin each new row & ending each row by DC into 2nd cs. 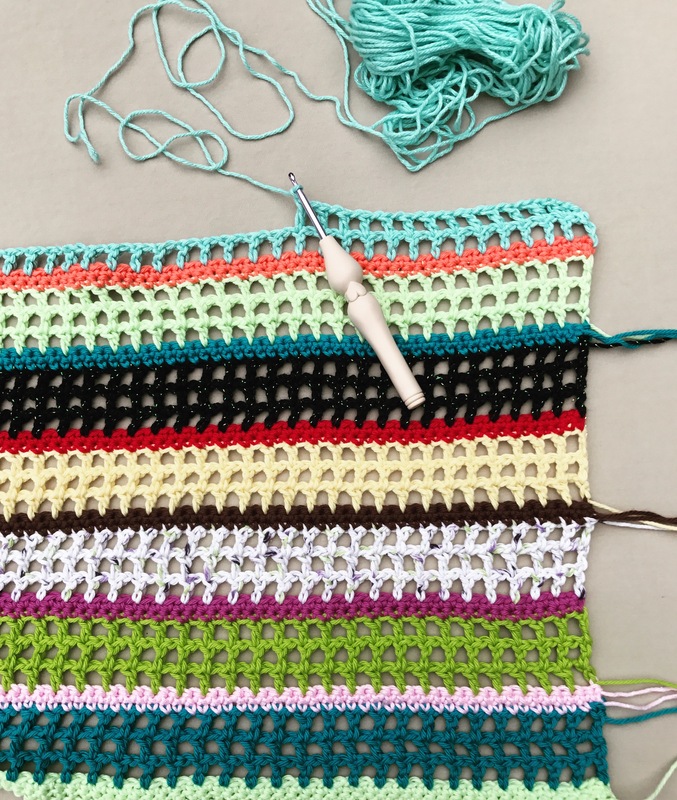 Each row should have 50 DC stitches (counting the chain 4 at the beginning of the rows), 49 Chain Stitchs. Rows 6 & 7: (Color Change if desired) Chain 1 to begin, SC 98 stitches. Repeat for row 6. 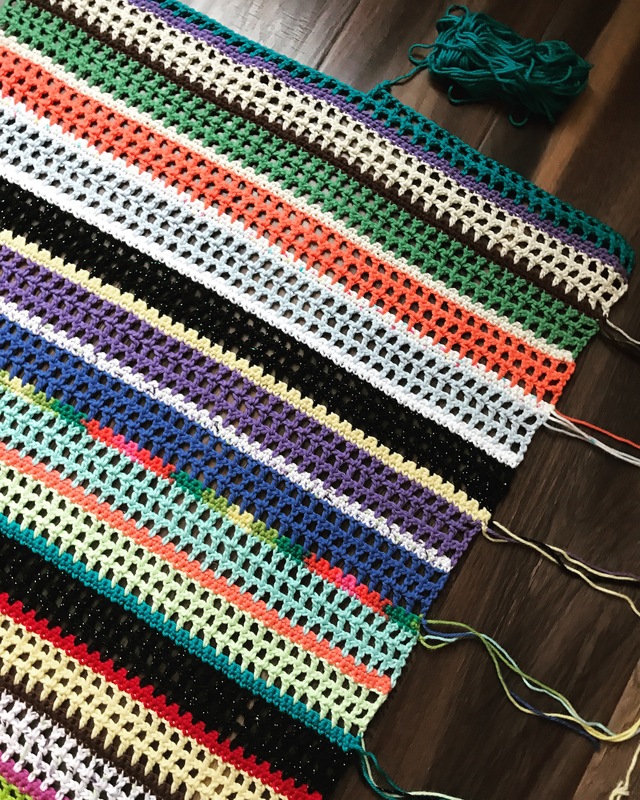 Rows 8-11: (Color Change) Chain 4 to begin a new row. Skip chain space & 1st stitch & DC into the 2nd stitch from the chain. *CH 1, Skip 1, DC* for the remainder of the row. Repeat for rows 9-11, chaining 4 to begin each new row. Rows 12 & 13: (Color Change) Chain 1 to begin, SC 98 stitches. Repeat for row 13. 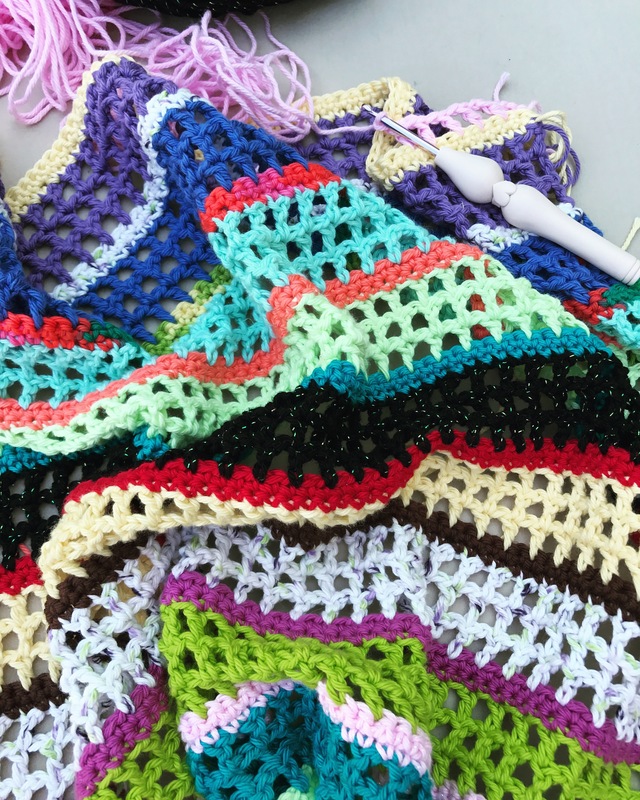 Repeat this pattern until you reach desired length for blanket. 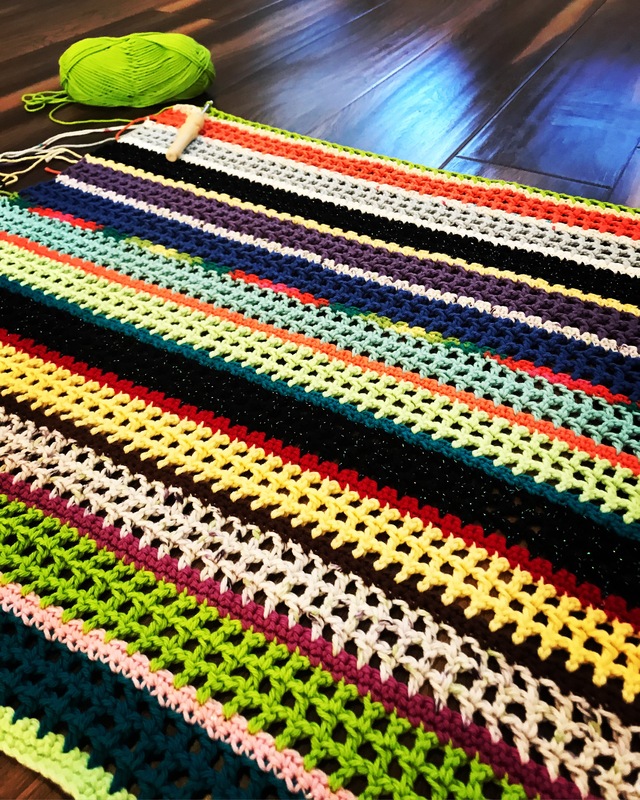 As stated above, I haven’t finished my blanket yet so I’m unsure of how many rows to add, but I’ll keep you guys updated with my progress on Instagram. Sew in & trim ends. 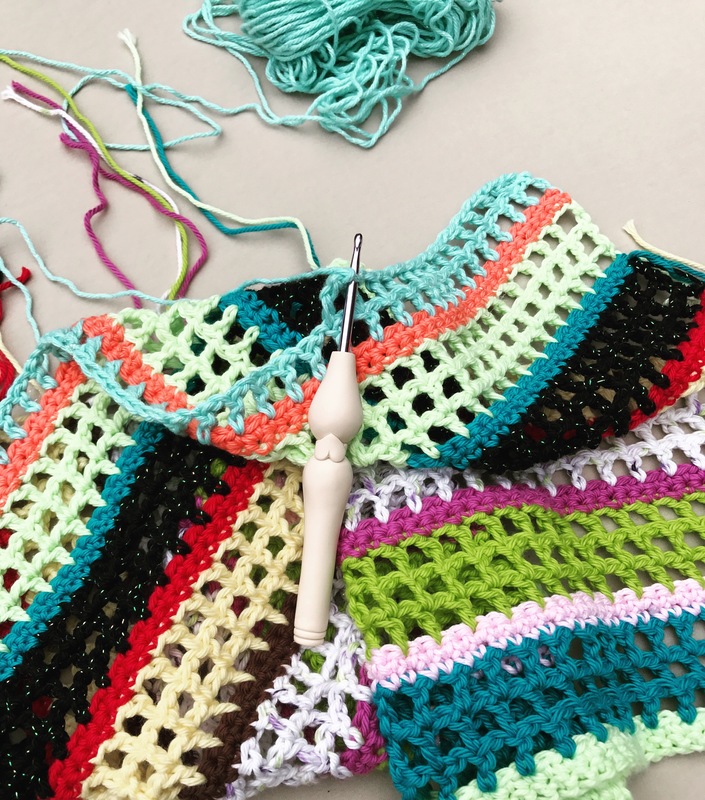 Please email southerndaycrochet@hotmail.com if you have questions. 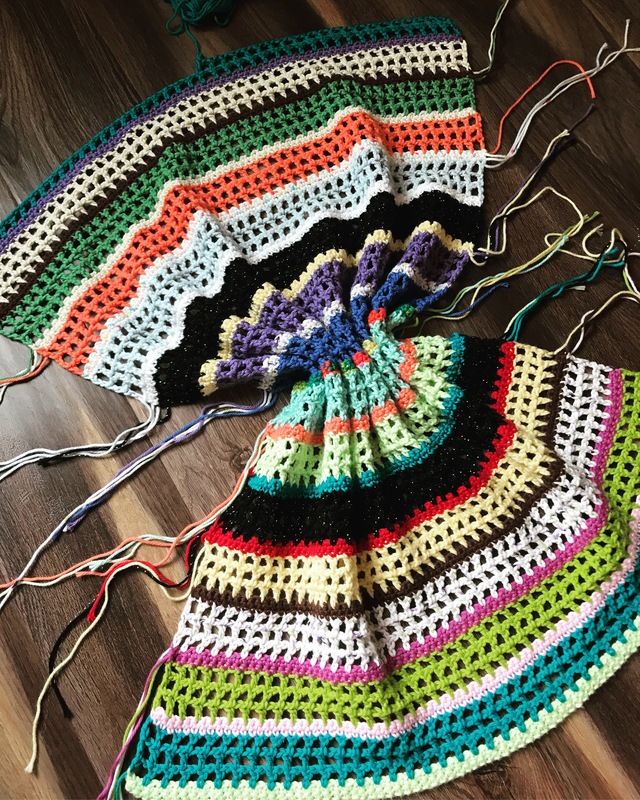 Thanks so much for trying my pattern! I hope y’all enjoy it as much as I do!